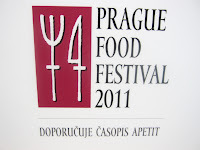 I've been attending the Prague Food Festival religiously for the past three years. 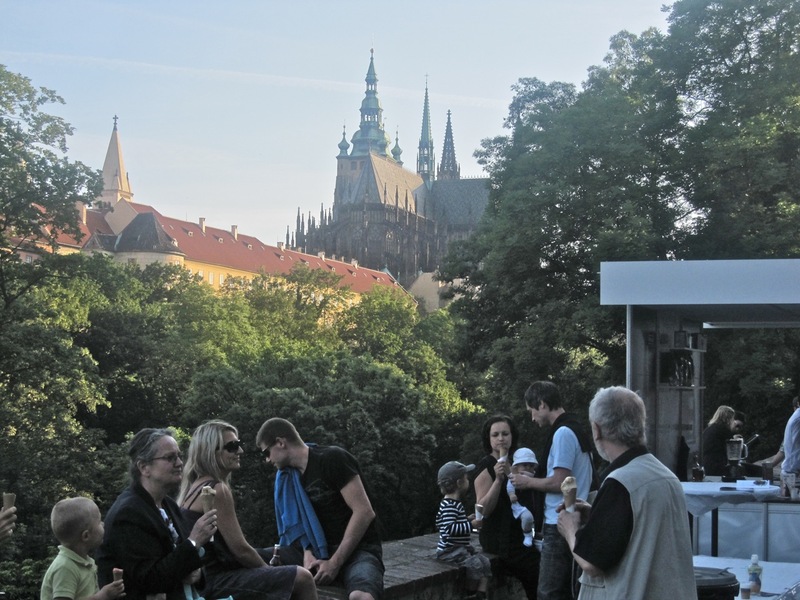 It's a heavenly way to sample a wide array of offerings from many of Prague's best restaurants. It's eater's paradise for endlessly searching grazers like me. The fest is also something of a moveable feast. This year, the extravaganza was in the Eden-like setting of Prague Castle's Royal Garden. The location has changed every year I've attended, and this was the best so far. 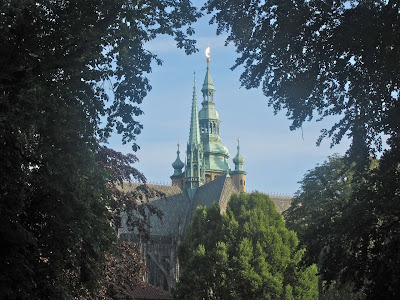 I liked it very much in 2010 when it was in lower gardens on the other side of the castle. 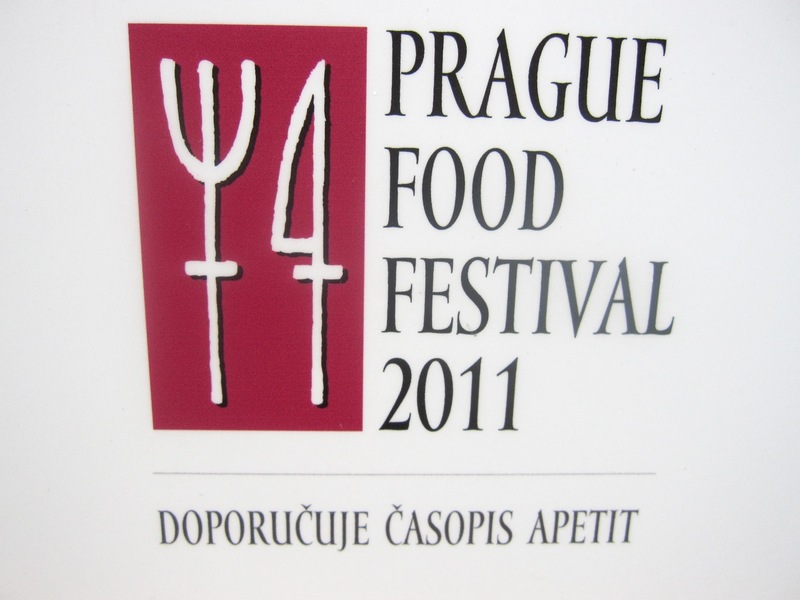 The 2008 location on Slovanský ostrov was quite good. 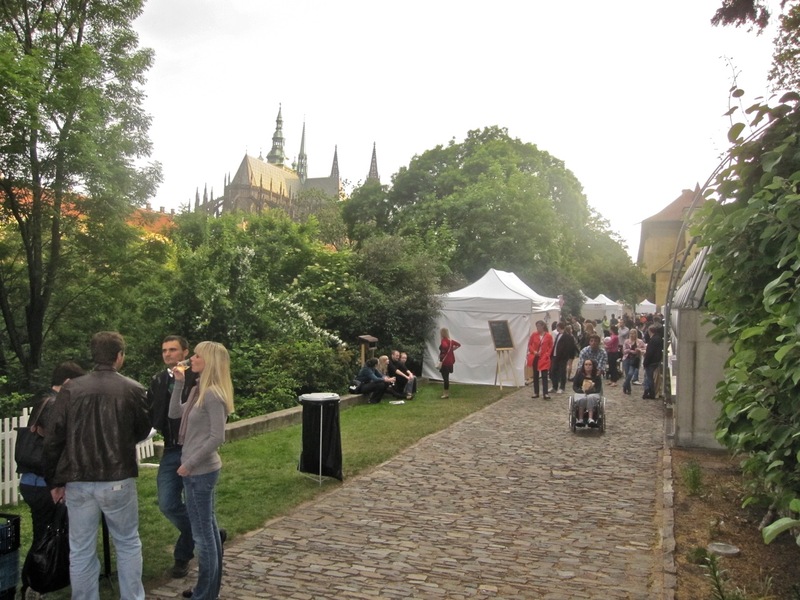 But all were much better than the cramped and divided areas on the Vltava used for the 2009 festival. I was there on Saturday and Sunday which, for some, are days of rest. But there was no rest for the foodies. The deal was the same as previous years. 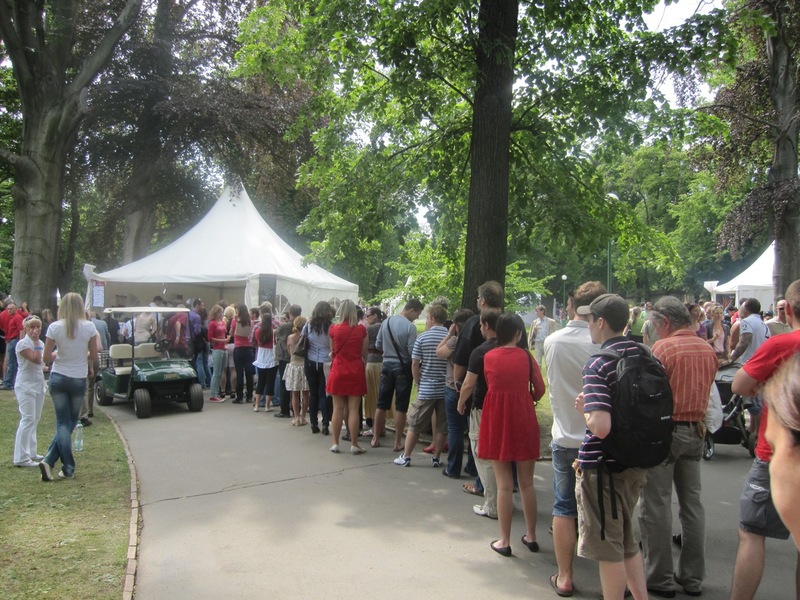 It cost 400 CZK to get in, but that includes 250 CZK worth of food tickets called "Grands." Each Grand is worth 25 CZK and they are sold in packs of 10. 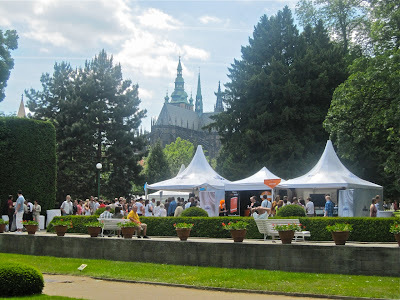 I bought 500 CZK extra on both days, so I spent 900 CZK a day. Not cheap, but I had a lot of eating to do. There were cooking demonstrations in the beautiful Míčovna or Ball Game Hall. It was between shows when I looked in. Later, I tried to see one, but it was too full and I was shut out. 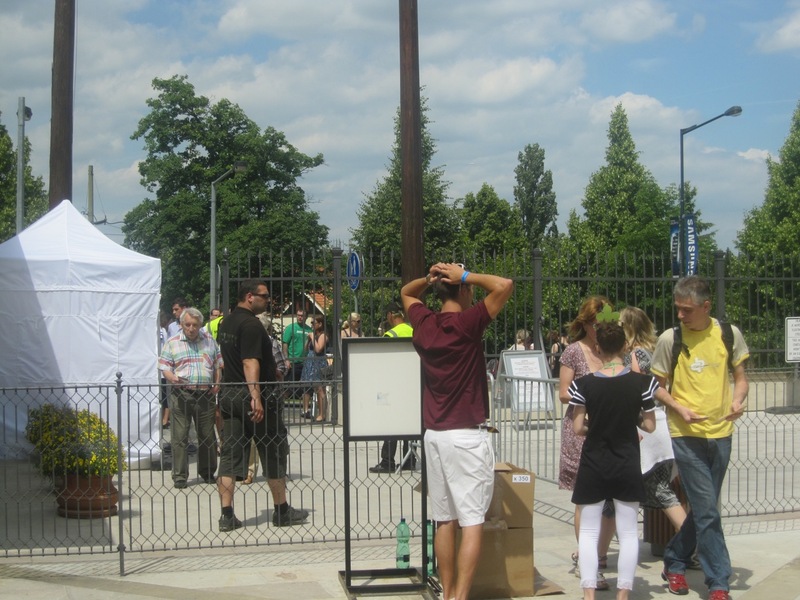 The weather was cool on Saturday with a few threatening clouds, and crowds were light. It was easy to move around. 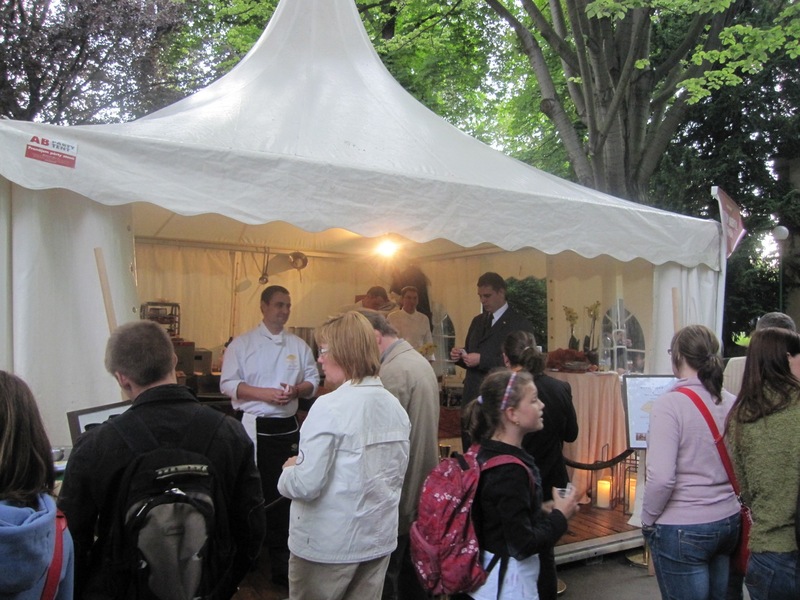 The first dish I tried was at the tent for the Mandarin Oriental's restaurant, Essensia. 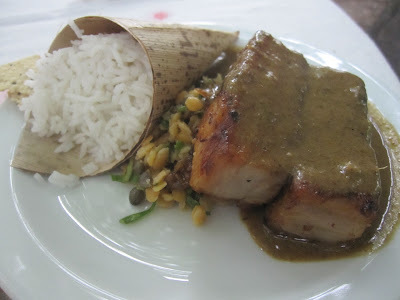 It was Sri Lankan pork belly in black current with lentil salad and basmati rice (150 CZK). A great start. 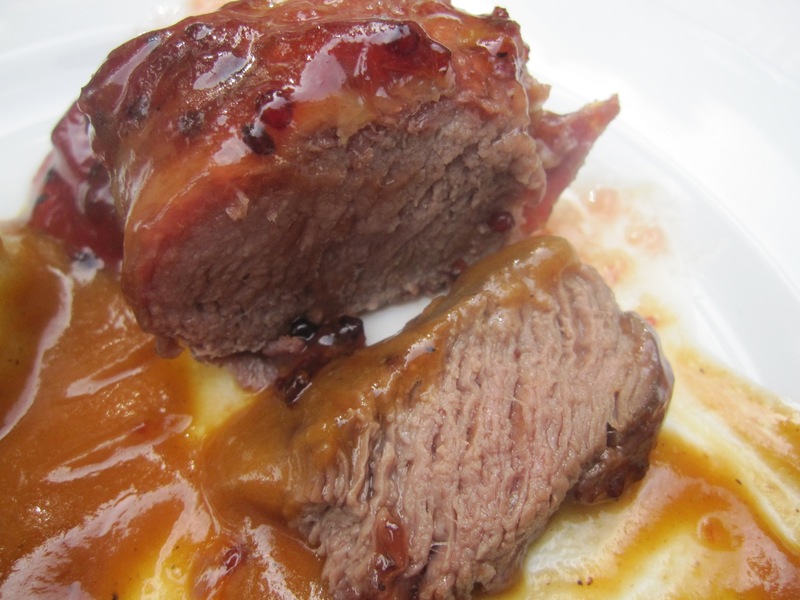 The fatty meat was cooked into a melt-in-the-mouth state. 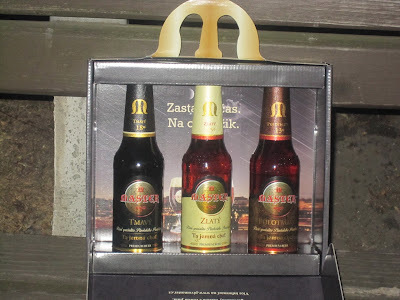 I didn't taste blackcurrant, but it was accompanied by a delectable salty, spicy curry sauce. The lentils were mixed with vibrant mint and cilantro. I scooped up the extra sauce with the papadum and rice. 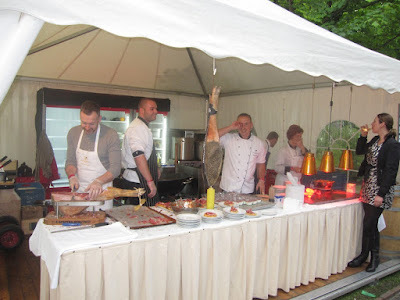 Then I hit the Aromi-La Finestra stand -- two of the top-end Italian spots in town. I had the grilled Marchigiana beef with bean salad (150 CZK). Terrific. The beef, cooked to medium was ever so tender. There was beautiful seasoning along the edge of the meat, which was lightly glazed with an intense olive oil. 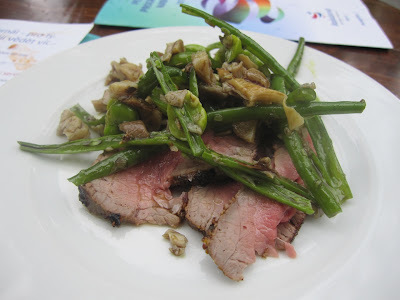 Crunchy beans, mixed with mushrooms, were a great complement. 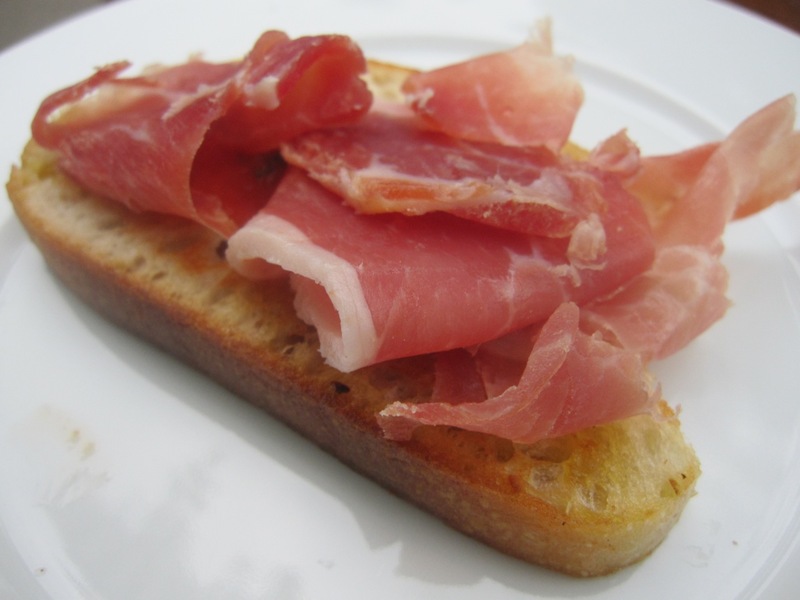 Along with this, they gave diners a gift of hand-carved prosciutto on toast with olive oil and a basil-infused tomato sauce. A sweet (and salty) deal. 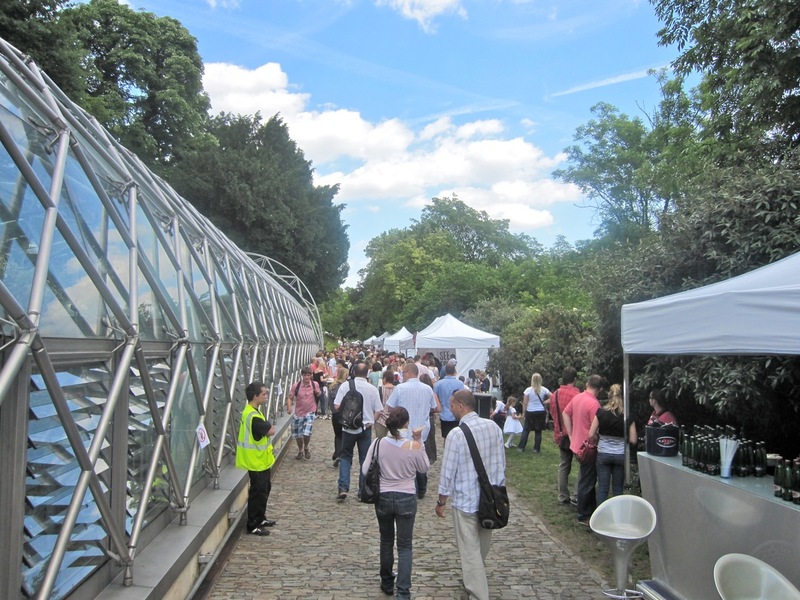 Then I walked down to the lower garden level, next to the garden's very modern-looking greenhouses. I found the stand for Chagall's Club, which was one of my favorite restaurants in recent months. 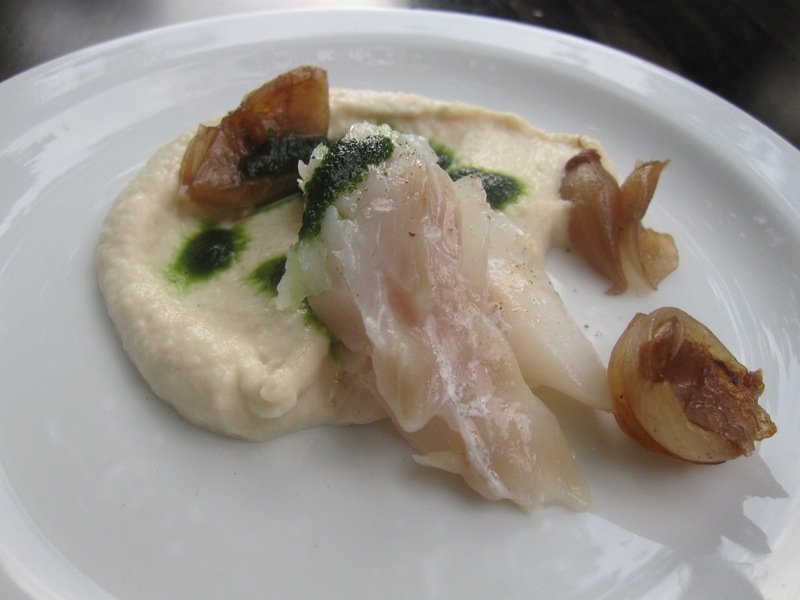 I got the cod with coriander, parsley crème, and marinated onions (100 CZK). Loved it. The fish was just lightly seared, giving it a light firmness on the outside and a pristine, clean flavor and texture inside. The crème leaned toward the sweet side and had an interesting texture, almost like hummus. I asked the chef what else was in it, but he wouldn't say. The sweetness was balanced by the sourness of the vinegary onions. I thought this dish was perhaps the best of show -- and a bargain to boot. Then I went meditate on the offerings from the Buddha Bar. I had trouble deciding, so I got two dishes. 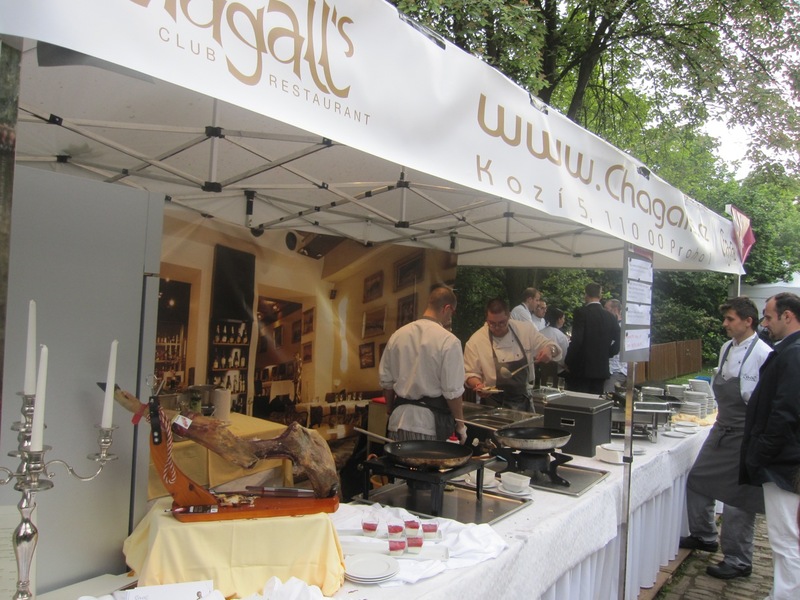 First, I tasted the grilled pork belly marinated in garlic and lime with a caramel glaze (150 CZK). It sat on a salad of carrot, cilantro, and mint. The pork portion was half the size of Essensia's. The sweet glaze had a teriyaki tang and a light char flavor. 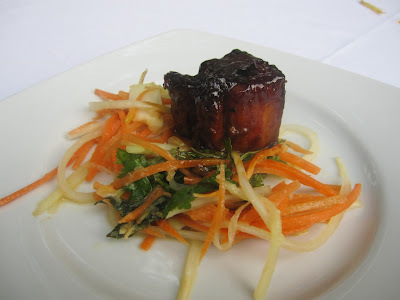 This porcine cube was meatier and less fatty than Essensia's and was on the chewier side. I mentioned my preference for one from the Mandarin Oriental to a food journalist I ran into. She told me her preference was the opposite. When she had Essensia's, that one was meatier and less fatty. It just goes to show -- cuts of meat and critics can vary widely. So take it all with a grain of salt. However, we both agreed that the pork belly at Sansho beat them both. The other dish I sampled there was the crab cake. 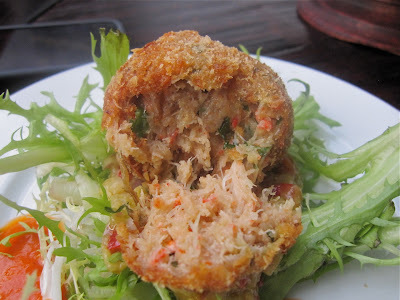 The fried ball was filled with a shredded crab mixture that had a creamy texture and a red peppery flavor. I thought it was OK. My friend Mr. T thought it didn't taste crabby enough. The sour salsa underneath didn't really work for me either. Of course, with all this food, there must be drink. Wine was available, but I went for beer. 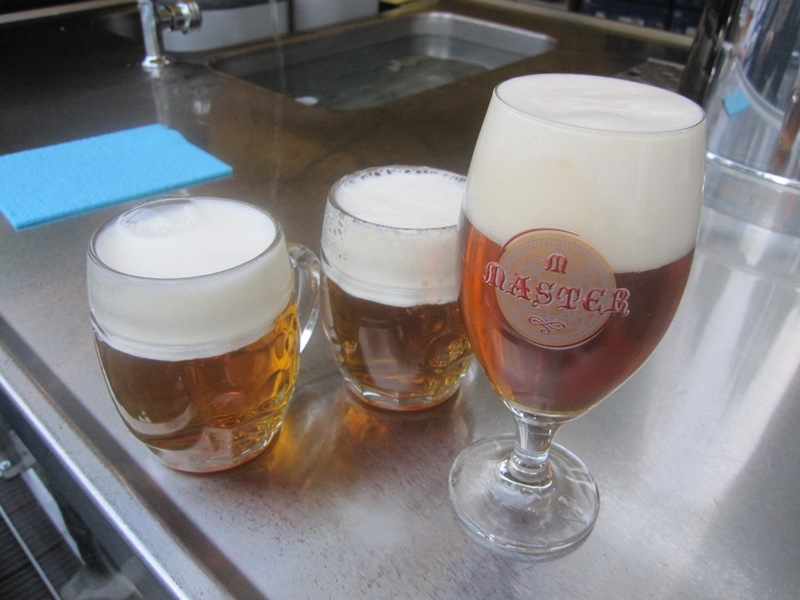 This year, Pilsner Urquell products were available. They had regular Pilsner, but I went for the richer and more complex Master 13° amber and the Master 18° dark. 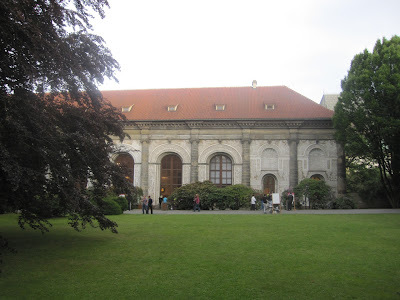 At 25 CZK per .3 liter glass, I spent more than a few Grands here. I returned on Sunday and it was a gorgeous day. As wonderful as that sounds and as fantastic as it looked, it also brought out the crowds. The lines for some restaurants like Kobe and Krystal-Mozaika were so long I didn't have the patience to try them. There was a line, though shorter, for another restaurant favorite, U Emy Destinnové. There I had the wasabi-crusted scallops with julienne garden vegetables, honey soy vinaigrette, and sesame seeds (100 CZ). 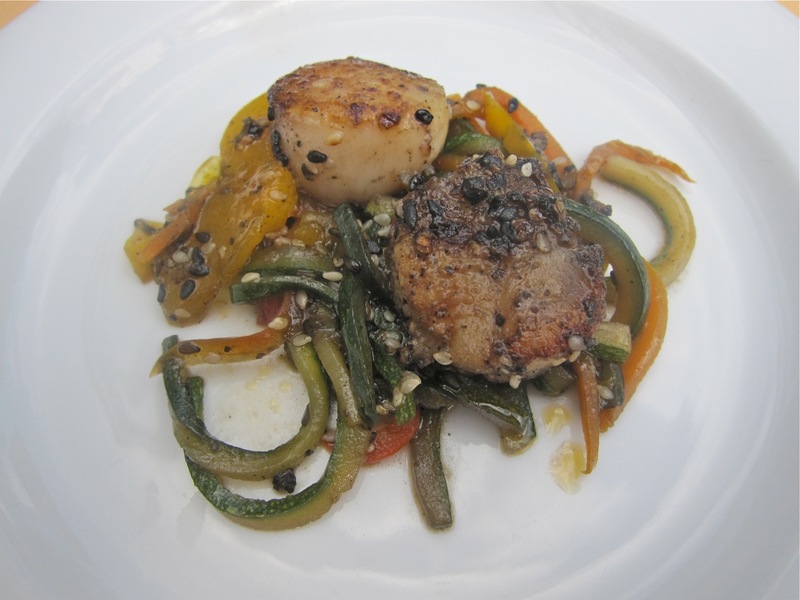 The small scallops were seared perfectly, with a delicate texture. I didn't taste wasabi. Instead, there was the strong, sharp flavor of peppercorns. 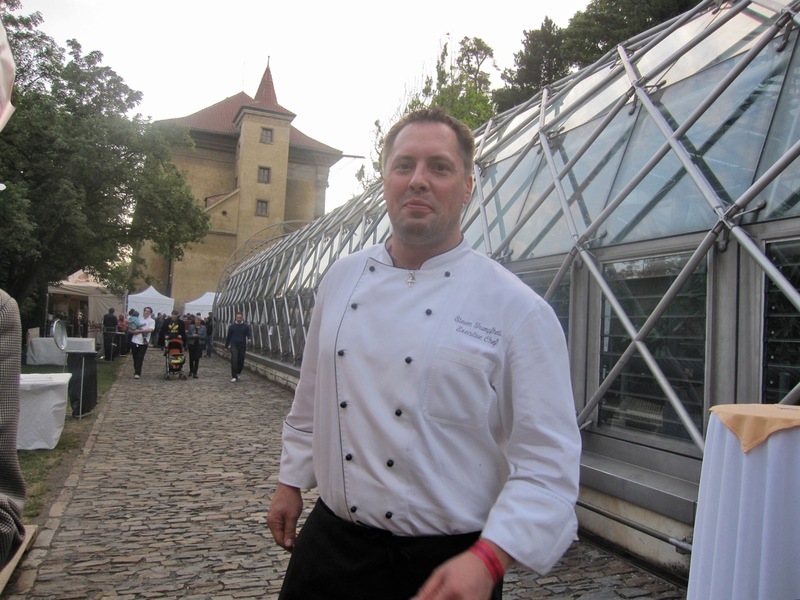 U Emy's American chef and owner, Steve Trumpfheller, was on hand to make sure everything went according to plan. He was very excited about a new menu he had just put together for his restaurant. 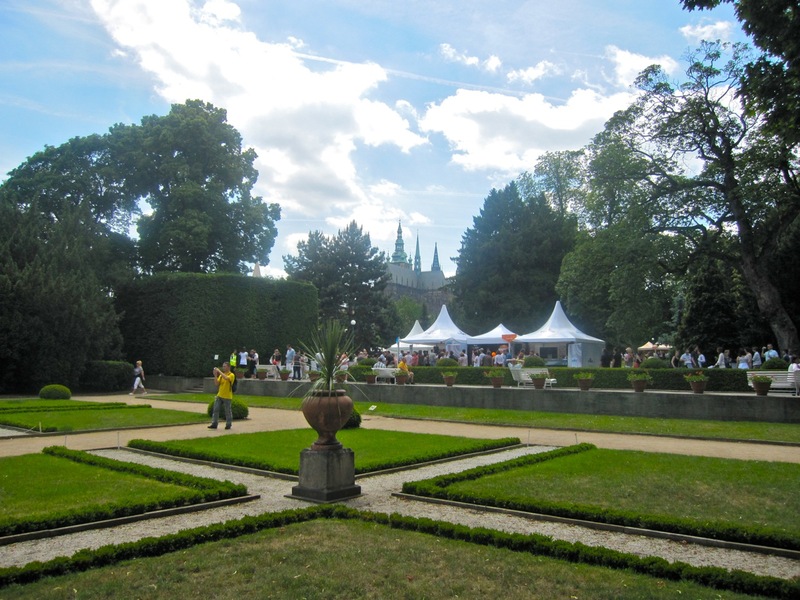 The crowds did cause some bottlenecks in the narrower sections of the garden. But there was no line at all for Kampa Park, one of Prague's most expensive restaurants. There, I tried the halibut with cauliflower, raisins, and dill beurre blanc with capers (175 CZK). It certainly looked pretty. However, the fish was sadly overcooked. 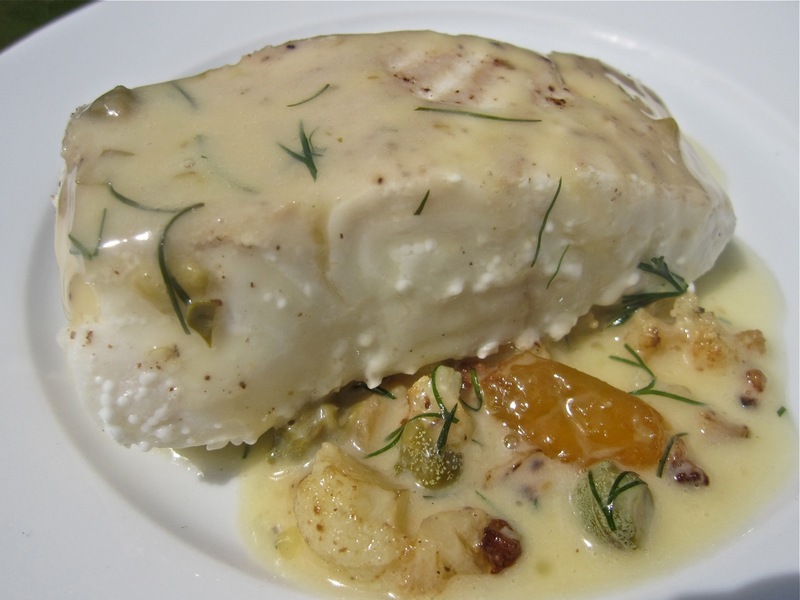 Halibut is known for its dense, firm texture, but this one had become mushy. It was a real shame because the sauce was fantastic. It had a buttery tang along with the sweetness of the raisin and salty, browned cauliflower. It was so good, I picked up the plate and licked it clean like a lollipop at the end. 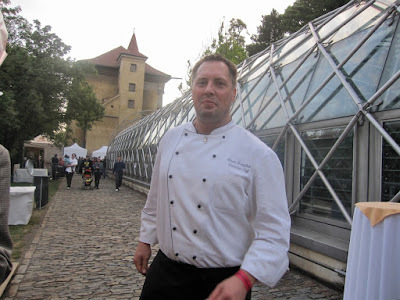 The last place I tried was Mlynec, which is now focusing on high-end Czech cuisine. 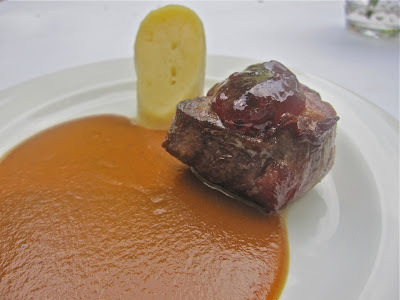 I ordered the grilled fallow deer medallions with a vegetable cream sauce and blackcurrant jam (175 CZK). It was a happy ending. The gamy meat was super tender and easy to slice with my plastic knife. The thick, sweet, fruity sauce was divine. Again, I went into plate-licking mode. As I made my way out, I picked up my parting gift. Everyone who attended the festival received a case with three types of Pilsner Urquell's Master beer. Since I went twice and had a friend who didn't want them, I ended up with three sets. Nice. Of course, Czechs are the biggest beer consumers in the world and someone should have considered whether such elaborate cardboard cases were really necessary. Large numbers of people drank their Masters on the spot. Unwanted, unneeded boxes were strewn all over the place outside the gates. 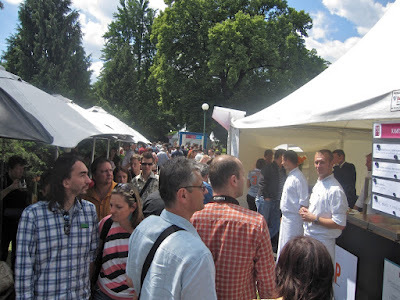 I spent the Sabbaths judging the food and drink . Now I'll pass judgement on the festival. Yes, the prices do seem to be creeping higher. But overall, I'd say this was the best fest yet. The garden was just gorgeous, the weather was perfect on Sunday, the crowds light on Saturday, and I think I enjoyed more dishes from more places than ever before. I pray that next year's fest will be as good or better as this one was. Even though my expectations have risen to an ever higher plane, I have faith it will be. The greenhouses were designed by the Czech Architect Eva Jiricna who has an architecture studio in London. I have always mixed feelings about the festival.. It is my third year.. And again I was irritated about the high prices for the food.. Specially the main dishes.. But, the prices of the drinks allways keep me coming back.. this year 1 grand for the Master beers.. nice.. and for 2 or 3 grands you have very good wines.. 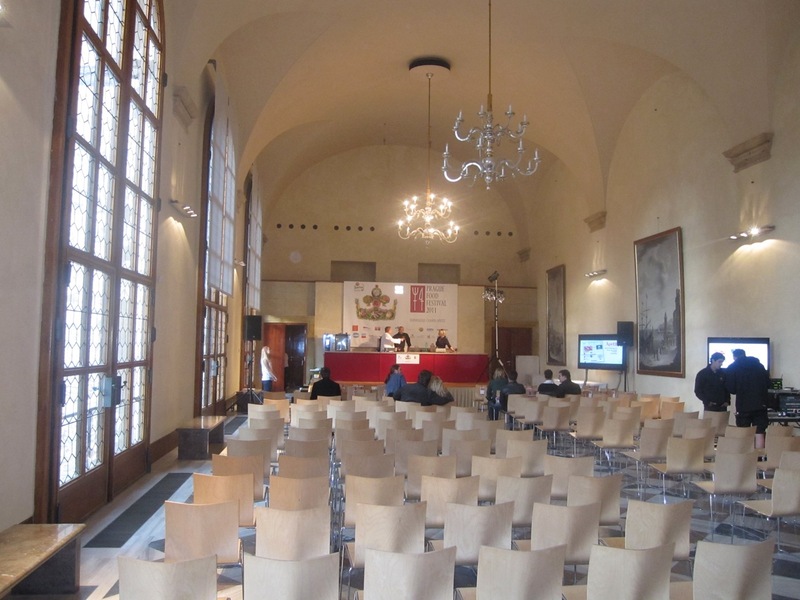 It is a very commercial event, where mr Maurer really wants to make (a lot of) money. Promoting food and restaurants is really second place..